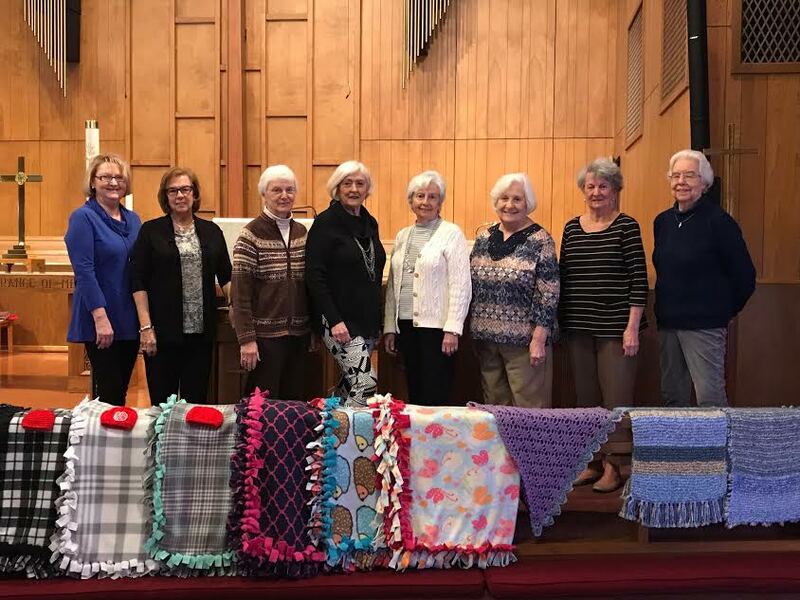 Our Prayer Shawl Ministry began in 2005, and since that time our prayer shawls and blankets have been blessing people in our community and throughout the world. All age groups have traditionally been represented in our circle of knitters and blanket crafters. Everyone is welcome! Our members are dedicated to the work of our hearts and hands as we gather for prayer for those who will receive our shawls and blankets. We also ask his blessing on those who participate in this ministry of love and giving. One of the unique qualities of our ministry is that we give instruction to anyone wishing to learn to knit, crochet, and to craft blankets. This is a beautiful ministry of art, fellowship, and prayer, and we hope you will consider joining us. 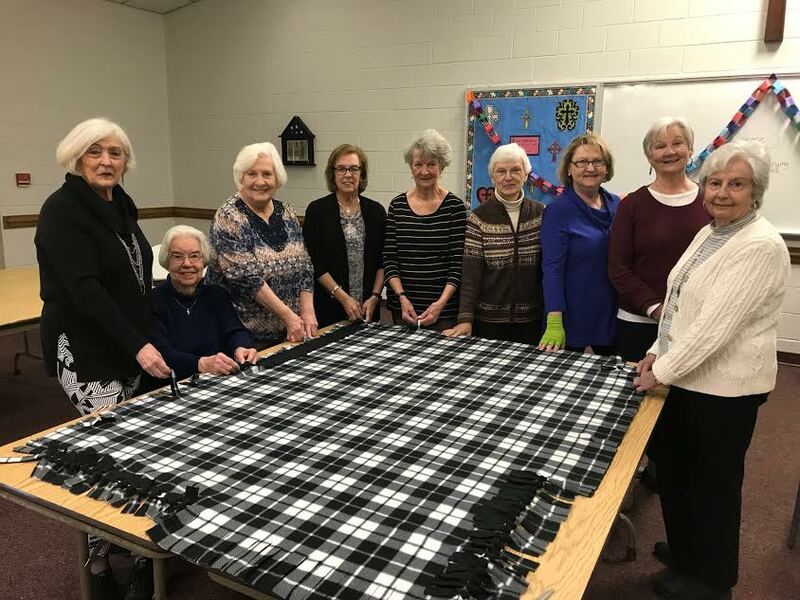 Although most of the knitting is done at home, we meet every Tuesday from 10:00 a.m. to 12:00 p.m. for instructions, fellowship, prayer, and blessings for the recipients of the shawls. 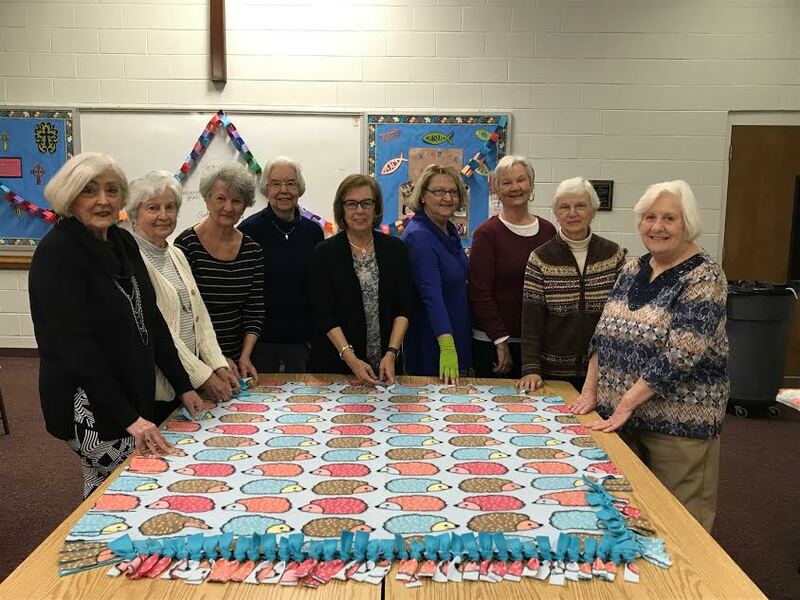 On the first Tuesday of each month, our meetings are dedicated to the crafting of prayer blankets. Who Receives the Shawls and Blankets? Prayer shawls are given to celebrate the gift of love, friendship, and caring. They offer comfort during illness and for those undergoing surgery, medical procedures, or the loss of a loved one. They may also be given to celebrate the joy of a new baby, a wedding, birthday, baptism, ordination, etc. Our ministry supports the Duke Pediatric Bone Marrow and Transplant patients with a welcoming gift of a prayer blanket. Each child in this unit is blessed with one of our blankets. Each resident of the Brekenridge Retirement Center also receives one of our prayer shawls or blankets upon arrival. We also donate blankets to men, women, and children in our church and community - wherever they are needed. We have been able to honor all requests for our shawls and blankets over the last eleven years, whether it is in our own church, community, or worldwide. We are blessed that we have never had to deny anyone the comfort and reassurance that a shawl and blanket provide. All our shawls and blankets are placed on the altar for a prayer of blessing before we give them away. Click here to download our Prayer Shawl Ministry Brochure.